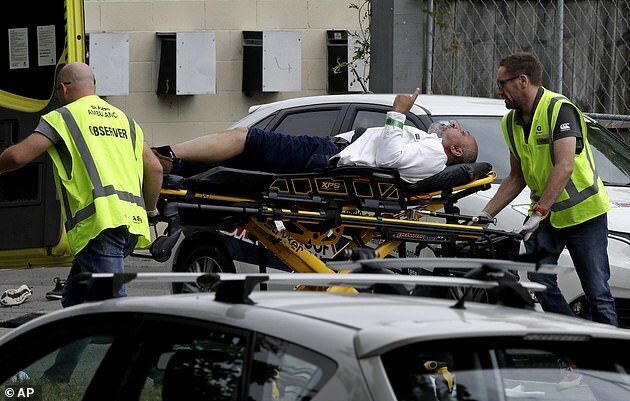 A grieving man threatened ‘to knife’ the accused Christchurch mosque shooter as the alleged gunman faced court today. 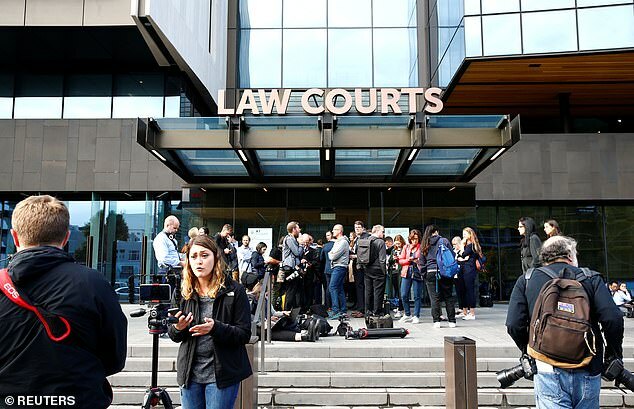 Brenton Harrison Tarrant – a 28-year-old Australian man from Grafton NSW – briefly fronted Christchurch District Court on Saturday following a mass shooting at Al Noor and Linwood Majid mosques on Friday afternoon. Outside of the court a crowd had gathered and one man threatened ‘to knife’ the accused before police restrained him. Tarrant was charged with with one count of murder but police say many more charges are expected to be laid – he has been remanded in custody and his duty lawyer did not apply for bail. A second man Daniel John Burrough, 18, has also been charged in relation to the mosque attacks but he did not appear in court. 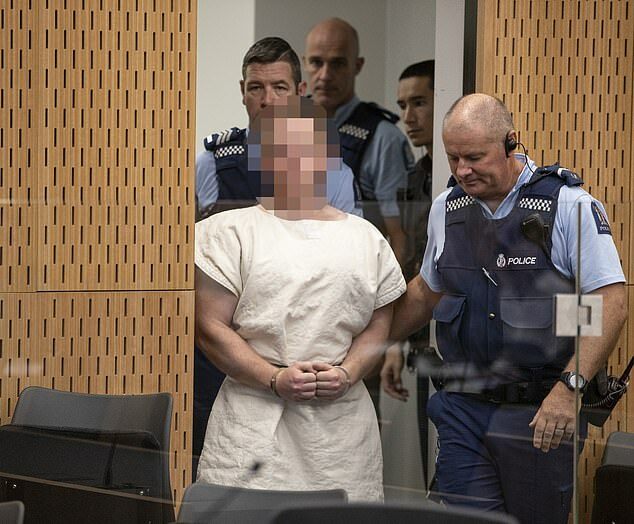 Another man remains in custody, and police are still trying to ‘build a picture of any of the individuals involved and all of their activities prior to this horrific event’. 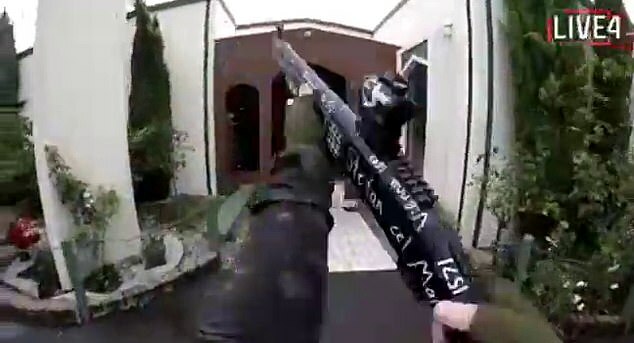 The terrifying attack at Christchurch was live-streamed in a 17-minute video and it is reported the family of the man charged over the massacre has approached NSW Police. ‘After the crime, my understanding is the family (of this man) did approach NSW Police after the incident was on TV,’ Police Commissioner Mick Fuller said in Sydney on Saturday morning. 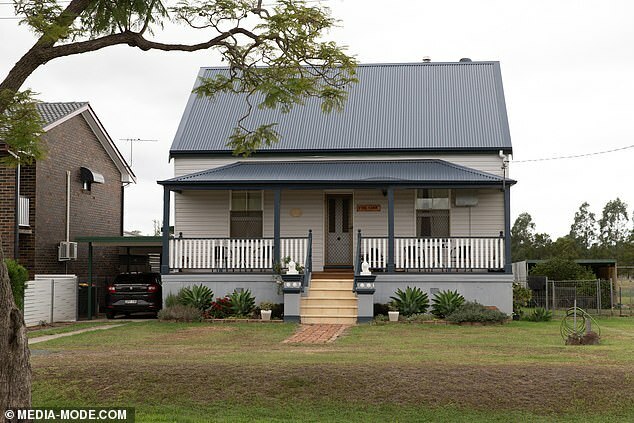 Tarrant’s mother was nowhere to be seen at her Lawrence home, a 25-minute drive north of Grafton in NSW. The commissioner will be joined by other senior police at a meeting with religious leaders at the Australian National Imams Council in the city’s west. 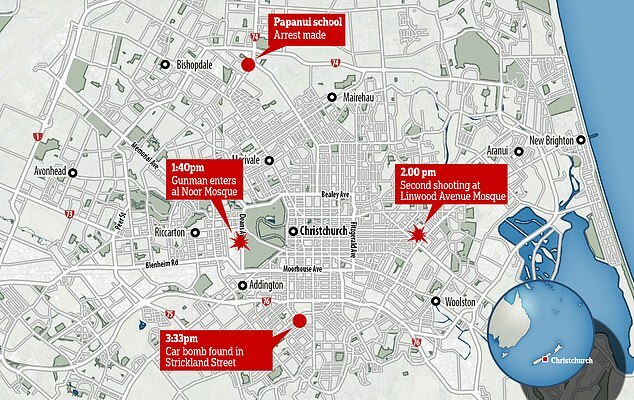 Police Commissioner Mike Bush confirmed the death toll stands at 49, with 42 injured. 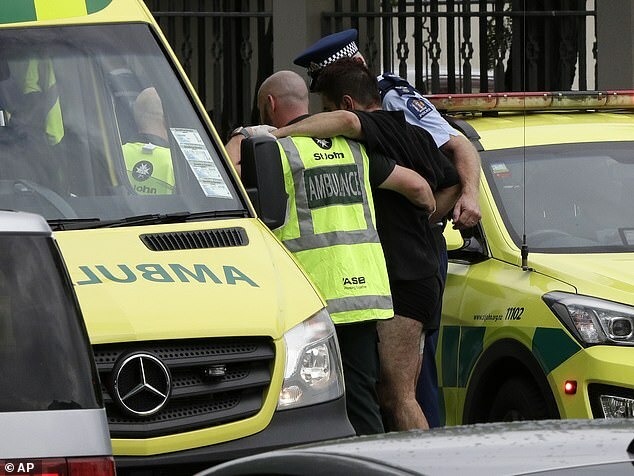 Earlier, Prime Minister Jacinda Ardern confirmed two of the 36 people being treated at Christchurch Hospital were in a critical condition – a five-year-old had also been taken to Starship Hospital at Auckland. 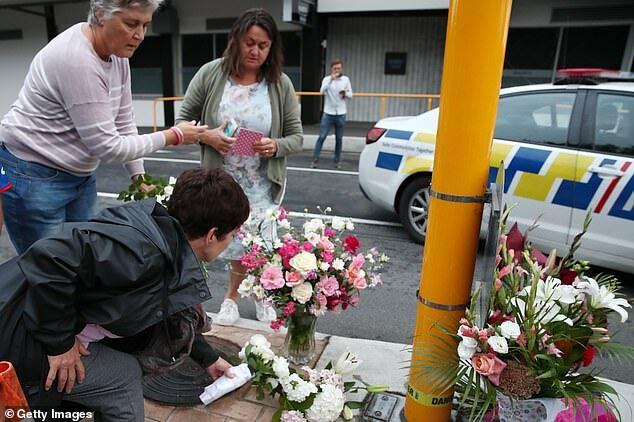 At the same time, she vowed to strengthen gun laws in New Zealand after she said the attacker had used five firearms in the attack, including two semi-automatic weapons, two shotguns and a lever action firearm. She said she had been advised the gunman obtained a Category A licence in November 2017, and ‘under that, he was able to acquire the guns that he held’. 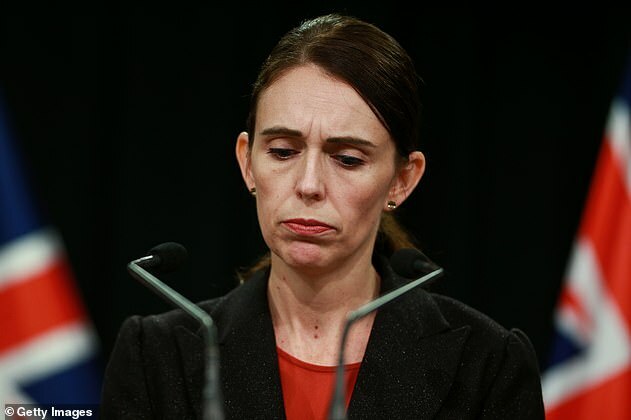 ‘While work has been done as to the chain of events that led to both the holding of this gun licence and the possession of these weapons, I can tell you one thing right now, our gun laws will change,’ Ms Ardern told media. 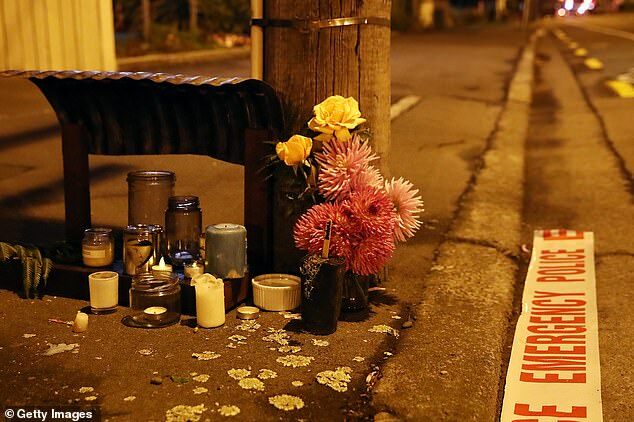 New Zealand’s gun laws have remained largely unchanged since 1992, when the 1983 law was toughened in response to another massacre in which 13 people died. ‘There have been attempts to change our laws in 2005, 2012 and after an inquiry in 2017. Now is the time for change,’ Ms Ardern said at the press conference. Details of the alleged terrorist’s background are emerging, including his upbringing in the rural New South Wales town of Grafton which he left shortly after his father Rodney died of cancer when Tarrant was in his early 20s. He seems to have spent up to seven years travelling the world from 2011 onwards, and one woman who knew him before he left Grafton speculated to Daily Mail Australia that ‘something happened to him’ during this time. She also recognised him as being the man in the massacre video. Tarrant claimed in a so-called ‘manifesto’ to have made money trading Bitcoin, enabling him to travel the world. He also spoke of visiting a wide range of countries including Pakistan, and a photograph showed him on a tourist trip to North Korea. 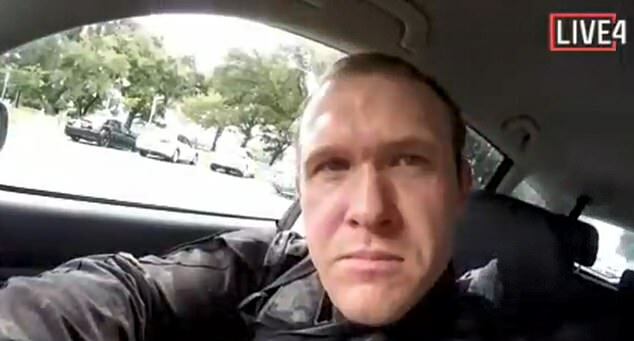 In a twisted manifesto that he posted online before the massacre, Tarrant described himself as an ‘ordinary, white man’, who was born into a working class, low income family of Scottish, Irish and English decent. He said in the document he had ‘no interest’ in attending university after leaving school. His father died of cancer when he was in his early 20s, and he left Australia to travel the world shortly afterwards.